The conference takes place from 9- 11 September 2012, and calls for nominations for the Telkom-Highway Africa New Media Awards in 3 new categories. Innovative newsroom – Newsrooms across Africa can submit nominations based on their innovative use of digital media including online, social and mobile media. Innovative use of technology for community engagement – members of communities, organisations, or supporters may nominate an organisation (either corporate or non-profit) based on their innovative use of technology within a community in Africa. The organisation does not have to be African based, but the community in which they operate must be. Highlight innovative and creative applications of technology for the benefit of the continent’s overall media development. Digital/Online platform must be functional and updated. Diverse content- online platform must integrate multimedia functionality (video, podcasts, photos) and written stories. Aesthetic appeal- creative use of limited resources. Stories should have been published in the period September 2011 and July 2012. Supply details of the media in which print article was published. Organization can be nominated in more than one category. 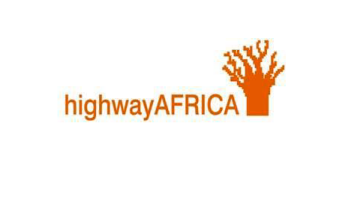 Highway Africa reserves the right not to award prizes in any category. Links to the website of nominee. Link to social media, multimedia platforms and/or content generated through mobile applications of nominee. Copies or links to relevant written stories to boost nominee in selected category.